Permutations. white china objects, veneer and board. 3m x 10 m. Exhibition. 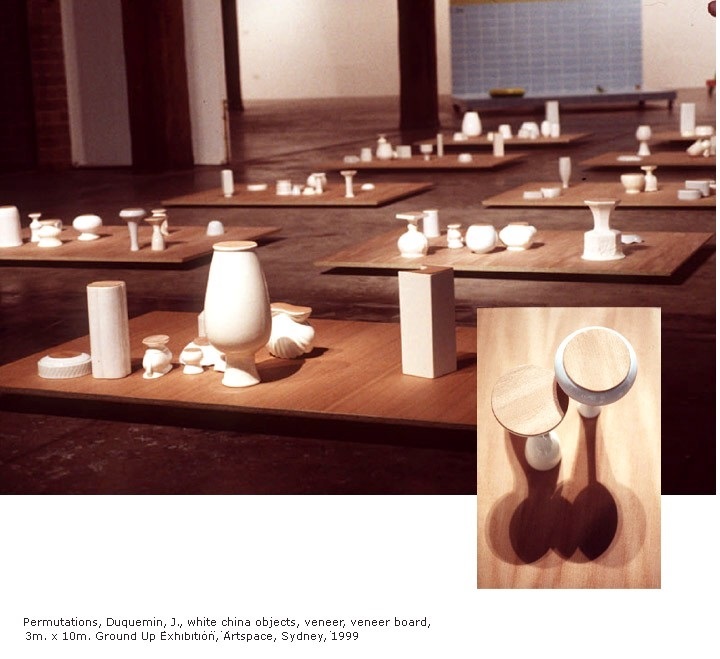 'Ground Up', Artspace, Sydney. 1999. © Judith Duquemin 2017. All rights reserved.